Online shopping platform ShopClues.com is in advanced talks to buy mobile payments firm Momoe Technologies, as it looks to add a payment service to its platform, according to three people aware of the discussions. The all-stock deal, likely to be announced in the next 45 days, could value Bengaluru-based Momoe at anywhere between $8 million and $15 million. Mint reported in December that ShopClues was looking to invest close to $50 million in either buying stakes or acquiring start-ups in the hyperlocal, ad-tech and Internet payments domains in order to accelerate expansion in India’s fast-growing e-commerce market. ShopClues will use Momoe’s technology to strengthen its payment network for merchants on its platform and will further integrate it with its hyperlocal commerce business, one of the three people cited earlier said on condition of anonymity. During the past 12-18 months, large e-commerce firms have made investments, acquisitions and partnerships with payments companies to claim a share of the digital payments vertical, which helps reduce the dependency on cash and makes it convenient for online shopping. In February, Amazon announced the acquisition of online payments firm Emvantage Payments Pvt. Ltd to develop India-specific payments solutions; Snapdeal acquired mobile wallet firm FreeCharge in April 2015; and Flipkart bought payments services company FX Mart Pvt. Ltd in August 2015. Momoe was founded in June 2014 by Utkarsh Biradar, Karthik Vaidyanathan, Ganesh Balakrishnan, Neelesh Bam and Aiman Ashraf. The company primarily provides payment solutions for offline merchants. IT allows customers to make digital payments using the Momoe app on their mobile phones. In February 2015, Momoe raised close to $1.2 million from IDG Ventures India, Jungle Ventures and India Quotient. The firm currently has 4,000 merchants on its platform in Bengaluru and Pune. Momoe, which has around 40 members on its team, will be absorbed by ShopClues, people familiar with the matter said. ShopClues and Momoe declined to comment. 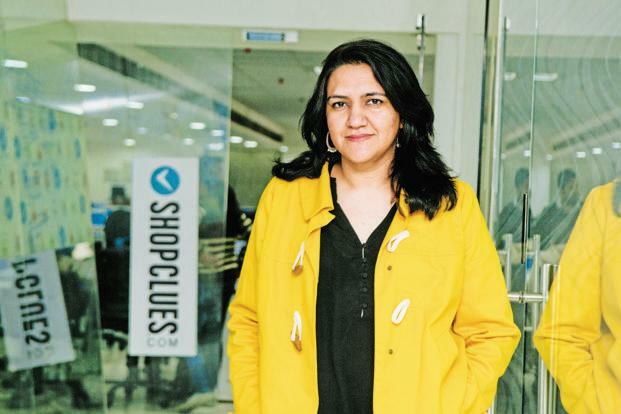 US-based ShopClues, which in September launched a chat feature ShopClues Connect for consumers to directly interact with sellers, is likely to use Momoe’s technology to further strengthen this platform and ease transactions. It will also help ShopClues’s hyperlocal commerce platform, which has been launched in Gurgaon and is currently in the beta stage. ShopClues, which in January raised close to $100 million—largely from sovereign wealth fund GIC Pte Ltd of Singapore—currently has a seller base of over 250,000 merchants. Other investors backing the company include Tiger Global Management Llc, Nexus Venture Partners and Helion Ventures. The online marketplace, run by Gurgaon-based Clues Network Pvt. Ltd, is focused on taking unstructured categories online, unlike large e-commerce firms Flipkart, Snapdeal and Amazon, which largely focus on structured categories. ShopClues counts the Indian middle-class looking to buy unbranded goods as its target clientele. Founded in 2011 by Sandeep Aggarwal, Radhika Aggarwal and Sanjay Sethi, it currently ships over 4 million items and gets over 150 million visitors a month. India’s e-commerce market is estimated to touch $100 billion by April 2020, Goldman Sachs said in an October 2015 report. New Delhi: There’s a new unicorn in India, and its name is ShopClues. Less than fifteen months ago, investors and analysts were uncertain about ShopClues’ survival. The firm was still coping with its founder Sandeep Aggarwal’s departure and was in the process of raising funds to keep the business alive. On Tuesday, the online marketplace for masses (as the website sees itself) announced that it has raised a fresh round of funds led by sovereign wealth fund GIC Pte Ltd, with participation from existing investors Tiger Global Management LLC and Nexus Venture Partners, at a valuation of more than $1.1 billion. Though the company did not disclose the amount raised, two persons close to the development, and who spoke on condition of anonymity, estimated it at $100-140 million. “The money is expected to come in tranches,” said one of the two people mentioned above. The company’s move to raise capital from the public markets fund at GIC is being viewed as a strategic step towards an initial public offering (IPO) in 2017. GIC was the pre-IPO investor in China’s Alibaba Group Holdings Ltd as well as JD.Com Inc.
“Today, we are the dominant player in low price-point and unstructured categories like lifestyle, home, kitchen, electronic and automotive accessories, etc. Our focus on selection, value and trusted shopping for Indian middle-class consumers has given us tremendous scale with a rapidly growing buyer and merchant network. 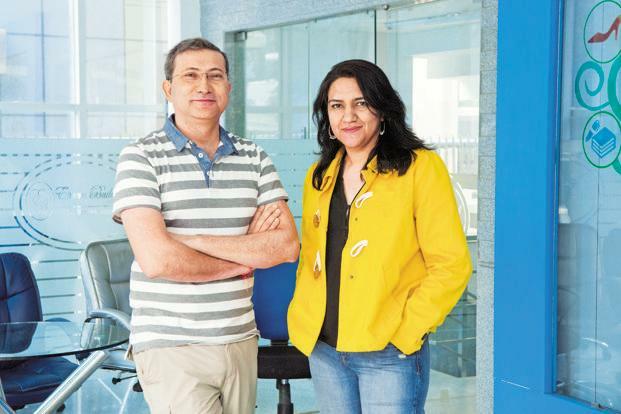 We are confident that our capital efficiency and execution will make this our last fund raise before we become profitable with the eventual IPO in 2017,” said Radhika Aggarwal, co-founder and chief business officer at ShopClues. Investors seem to like ShopClues because it is not running the same race as Flipkart, Snapdeal and Amazon India. Not only the buyers, but even the sellers on the platform are different. The firm is focused on taking unstructured categories online. Our latest funding roundup sees some startups secure large investments in e-commerce, concierge services, apart from personal investments made by angels and veterans in mobile chat messengers, and rental marketplaces. Bengaluru-based concierge service startup, Wishup, Tuesday announced that it has raised an undisclosed sum of seed funding from TracxnLabs, 500 Startups, and Mato Peric, the former Partner and Global Managing Director at Rocket Internet. along with funding from a host of angels through TracxnSyndicate. The startup been operational on Facebook Messenger and its helpline number, and also announced the Beta launch of its Android app. In an emailed statement, Wishup said has already acquired over 10,000 customers during the short time since its inception in July 2015. Online managed marketplace ShopClues has raised a fresh round of funding led by sovereign wealth fund GIC, becoming the latest entrant in the billion-dollar Unicorn club. The round saw participation from existing investors Tiger Global Management and Nexus Venture Partners, valuing the company at more than $1.1 billion (roughly Rs. 7,352 crores). Hike Messenger announced investments from tech veterans Adam D’Angelo, Founder and CEO, Quora; Aditya Agarwal, Vice President Engineering, Dropbox; Ruchi Sanghvi, who was the Vice President, Operations, Dropbox, and Aditya Agarwal, Vice President Engineering, Dropbox. The veterans invested in the company in their personal capacities and are playing advisers to it, the company said in an emailed statement. Online automobile classifieds portal CarTrade.com has reportedly secured $145 million (roughly Rs. 950 crores) from Temasek Holdings, March Capital and existing investor Warburg Pincus in its latest funding round. CarTrade reportedly lists more than 225,000 used cars for sale and works with over 10,000 car dealer partners, following its acquisition of CarWale in 2015. Bengaluru-based rental listings platform Rentomo has reportedly raised a seed funding of $100,000 (roughly Rs. 66 lakhs) from Shiva Ashok and an unnamed UAE based investor. Rentomo enables a user to rent products in the trusted network such as Facebook friend circles, and handles 250 transactions a month.